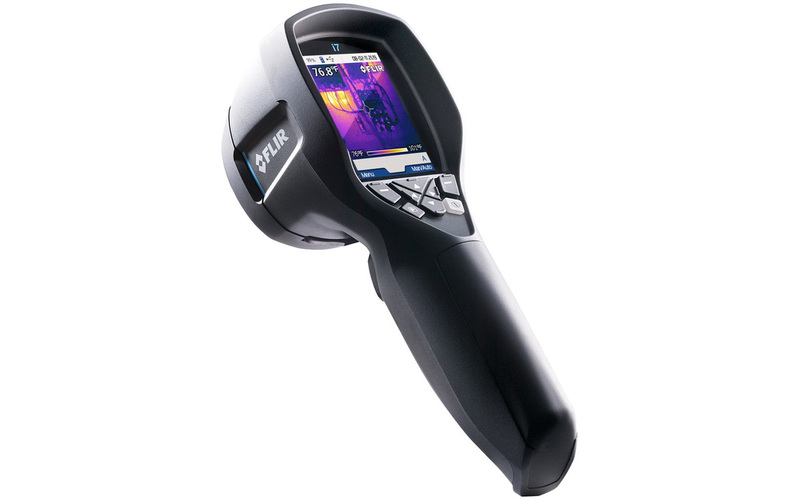 The thermal imaging camera that we are using for testing with and the thermal images that you will see for the moment are from FLIR i7 – a proven and reliable and most of all quite affordable thermographic camera with decent specifications for our need and not so high budget. We have decided to go for the top model from the FLIR i-series of the i7, because it has the highest resolution thermal sensor from the range and we wanted to have the best resolution. Apart from the higher resolution, the bit wider FOV and the two additional measuring modes the FLIR i7 shares the same set of features and other specifications as the rest of the i-series. The FLIR i3, i5 and i7 thermal cameras operate in the 7.5 – 13 µm range (7500 – 13000 nanometer range), have an image frequency of 9 Hz, use fixed focus lens and can detect objects within a temperature range of -20°C to +250°C, and the thermal sensitivity is 0.10°C with high accuracy of ±2°C or ±2%. The devices are equipped with a 2.8-inch color LCD display, have a MiniSD card slot for flash cards to store the thermal images on – the files saved are Standard JPEG with 14 bit measurement data included (radiometric JPEG format, containing all temperature data). The FLIR i-series of cameras are very easy to use, compact and lightweight, offer up to 5 hours of usage time with a single full charge and provide very good features for normal use packaged in an affordable for a thermal camera device. The price of a FLIR i3 camera currently goes between $1000-1200 USD, for a FLIR i5 you may have to pay $1500-1600 USD and a FLIR i7 will probably cost you around $2000 USD. You cannot record thermal videos with the FLIR i7 or any of the two smaller models from that product range, you are able to view thermal imaging information live on the device’s display and also save it in radiometric JPEG files on the SD flash card. 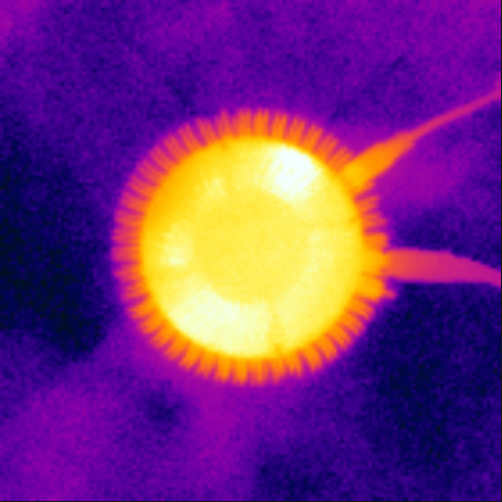 The produced JPEG files can be open with a normal JPEG photo viewer as a 240×240 pixel image (for the FLIR i7) containing the thermal image data, along with temperature information and a scale representing the thermal range. You can also open them with the FLIR Tools software that you get along with the thermal camera for a more detailed inspection and to output thermal images along with detailed reports for a more in-depth thermal analysis should you need to do so. 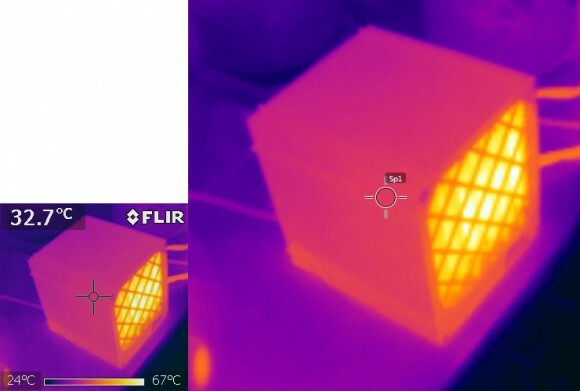 Do note that while the thermal imaging sensor of the FLIR i7 camera is 140×140 pixels with some image processing the outputted thermal images can be saved with higher resolution and still loo quite good and detailed. However if you need higher resolution for a more detailed thermal inspection you should get a thermal camera with higher resolution sensor if your budget allows it as going up the resolution does lead to an increase in the price. We have always been fascinated with Thermal Imaging and Thermal Cameras as well as all other means of “seeing” the world around us in a different way that is simply not possible with what senses we humans have. This is one of the main reasons that we have created this project, as a means to play around, experiment and see things around us in a different way that what we see with our eyes and also to show it to you. For many people thermal vision or thermal images are directly being associated with one of the vision modes that the alien called Predator had in the movie series Predator. In fact our interest in thermal imaging is also related to the first Predator movie featuring Arnold Schwarzenegger from 1987, so it is not uncommon to often seen relations to this when talking about thermal imaging. Thermal cameras are becoming more and more accessible to people and they are finding their way in the hands of more normal people, although they are still used mostly by professionals for various work related tasks. 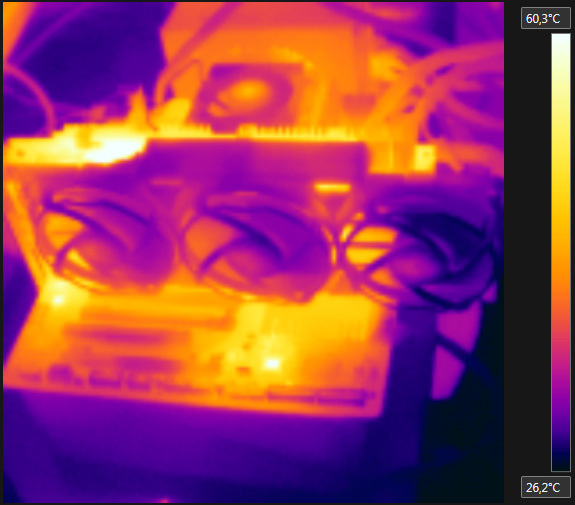 But a thermal camera can be useful for a lot of thing and we are going to try to give you an idea for a few of these as well as to show you how common things look like when viewed with a thermal imaging camera, so stay tuned for some cool things to come.